This Niagara Falls, Ontario motel is family friendly and has an outdoor pool. Wireless Internet access and room service are available. America’s Best Value Inn Garden guestrooms have TVs with cable, VCRs, and DVD players. Local calls via the direct dial phone in the guestrooms are complimentary. The Americas Best Value Inn Garden Inn Motel of Niagara Falls, Ontario has been honoured by recieving the ratings of an Outstanding Score – Best of the Best by Americas Best Value Inn Rating and has been given the rating of a 2 Diamond Property by CAA and AAA. All rooms at this motel are AAA approved and provide guests with standard amenities. The CAA-AAA 2 Diamond approved Americas Best Value Inn-Gardens Inn in Niagara Falls, Ontario is located on the historic Lundy’s Lane. This motel has also been rated Oustanding – Best of the Best by the Americas Best Value Inn Rating. 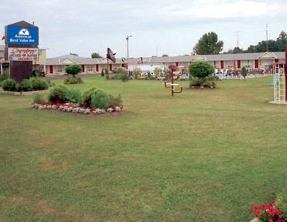 The Gardebs Inn Motel ensures great accommodations for all visitors only a short drive from the Falls and Casino Niagara. This Niagara Falls Motel is ideally located near great golfing, shopping and dining. The family affordable room rates assure for a great stay and a memorable vacation in Niagara Falls, Ontario. Americas Best Value Inn – Gardens Inn are also a short drive from other popular areas of the Niagara region, Welland, Thorold, St Catharines and the Pen Shopping Center with over 170 stores.